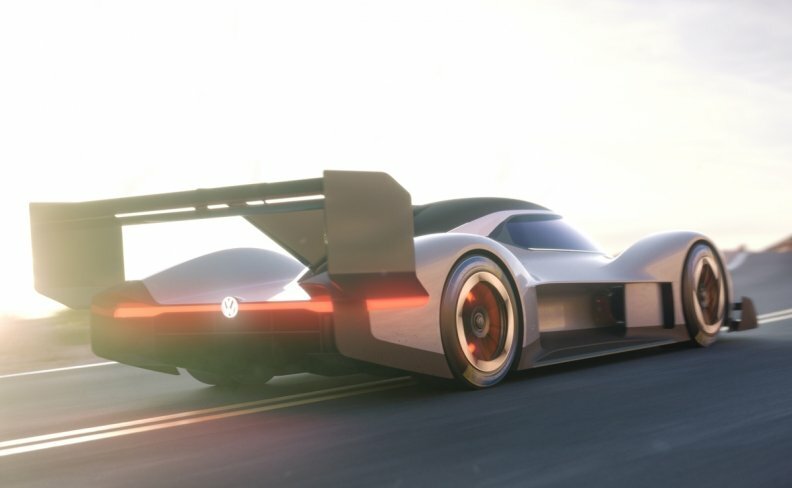 VW plans to showcase its latest electric powertrain and racing tech in the Pikes Peak International Hill Climb later this year. Volkswagen plans to show off its electric powertrain tech via the I.D. R Pikes Peak race car this summer by taking a run at the Pikes Peak International Hill Climb. The automaker previewed the race car this week via computer-generated images, giving a glimpse at the prototype that will take on the Colorado course June 24. The I.D. 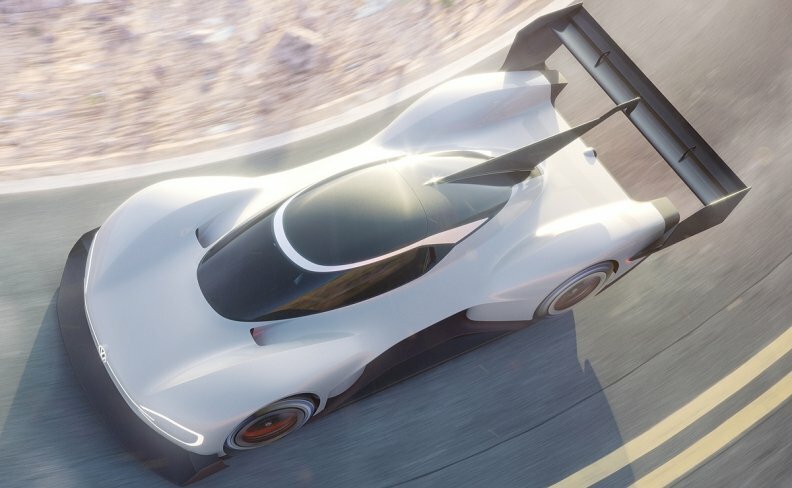 R Pikes Peak is meant to showcase modern, all-wheel-drive electric powertrains as well as VW's aerodynamic expertise ahead of the market launch of the I.D. lineup of battery-electric vehicles. The 20-km (12.4-mile) "Race to the Clouds," held in the Rocky Mountains near Colorado Springs, dates to 1916; the route starts just above the 2,743-meter (9,000-foot) mark and continues up to the 4,300-meter (14,115-foot) summit. Volkswagen has some history at Pikes Peak: In 1985, Audi won with its Quattro technology with Michele Mouton behind the wheel of the Audi Sport Quattro S1, paving the way for wins by Bobby Unser in 1986 and Walter Rohrl in 1987. "We want to be at the forefront of electromobility with Volkswagen and the I.D. family," said VW brand development chief Frank Welsch in a statement. "Competing in the most famous hillclimb in the world with the I.D. R Pikes Peak is a valuable test for the general development of electric cars." VW said it will launch sales of the first I.D. models, the I.D. compact hatchback and the I.D. Crozz, next year. VW plans to launch 80 new full-electric vehicles across the 12-brand group, which includes Audi, Porsche, Skoda and Seat, by 2025 and offer an electric version of each of its 300 group models by 2030. "Pikes Peak is without question the most iconic hillclimb in the world," said Juergen Stackmann, VW brand sales chief, in a statement. "The I.D. R project represents a fantastic opportunity for Volkswagen to change the conversation about e-mobility, both emotionally and from a sporting perspective."